Hypolite “Hyp” Guinle, a boxing promoter, opened the Famous Door in the 1930s, naming the place after the swanky Manhattan night spot that New Orleanian Louis Prima had put on the map. 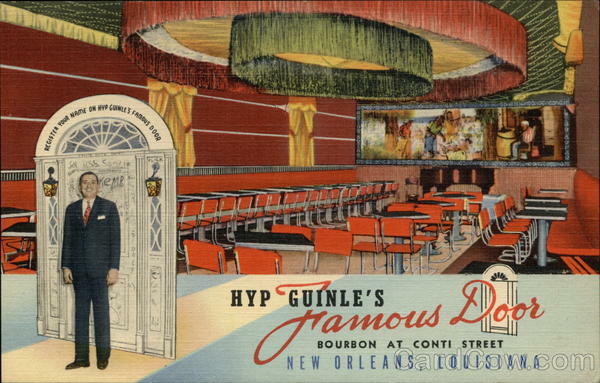 Billed as the “Jazz Corner of America,” Guinle’s Famous Door at Bourbon and Conti played an important role in the midcentury traditional jazz revival. Around 1948, Joseph “Sharkey” Bonano and his Kings of Dixieland took a residency here. Bonano, an Italian-American from Milneburg in New Orleans, had toured the world playing trumpet in the 1920s and 30s. 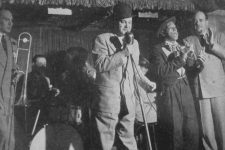 Like Louis Prima, with whom he briefly led a band, he was a charismatic front man, joking and dancing in his signature bowler hat. Bonano found an enthusiastic audience at the Famous Door, which led to radio and television appearances that helped reignite interest in New Orleans-style jazz. 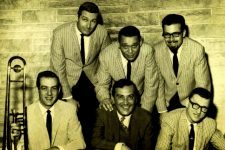 Among Bonano’s admirers was a group of teenaged musicians led by brothers Fred and Frank Assunto. When their hero took his Kings of Dixieland on the road at the end of 1950, they filled his slot at the Famous Door as the Dukes of Dixieland. The group, which for a time featured a young Pete Fountain on clarinet, was so popular they kept the gig for nearly four years. 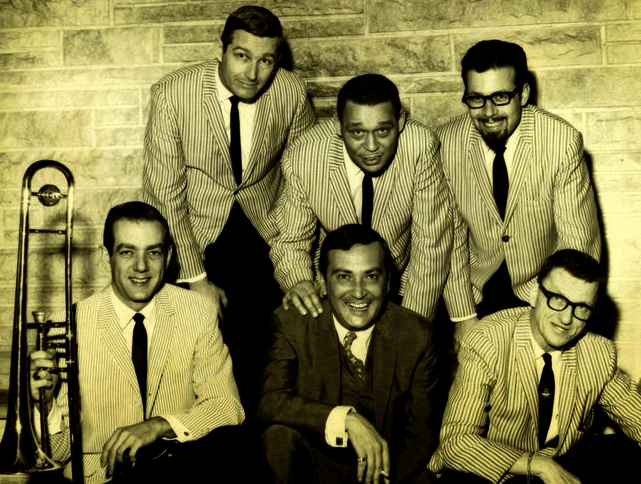 Like Bonano, they parlayed the exposure into record deals and bookings around the country, including a long stint in Las Vegas and appearances from Carnegie Hall to the Ed Sullivan Show, further amplifying the New Orleans sound. 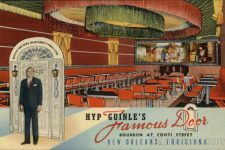 Though it has since fallen out of favor, in Hyp Guinle’s time the term “Dixieland” often referred to white bands playing in a style built on traditional New Orleans jazz. At the Famous Door, the term’s racial overtones were clear: The décor included a Confederate flag, and a postcard from the club depicted a black person sleeping on a bale of cotton. 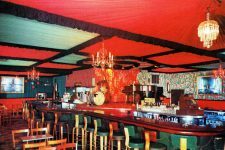 The Kings and the Dukes were white. 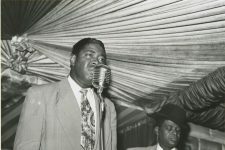 Sharkey Bonano often danced onstage with Bourbon Street fixtures Oliver Anderson and Isaac Mason, a duo known as Pork Chop (or Pork Chops) and Kidney Stew. 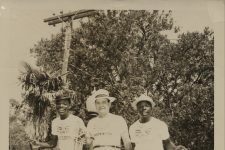 While fellow black artists from Danny Barker to Lionel Batiste respected them as performers, their act included a gamut of racially stereotyped elements carried over from the vaudeville era. 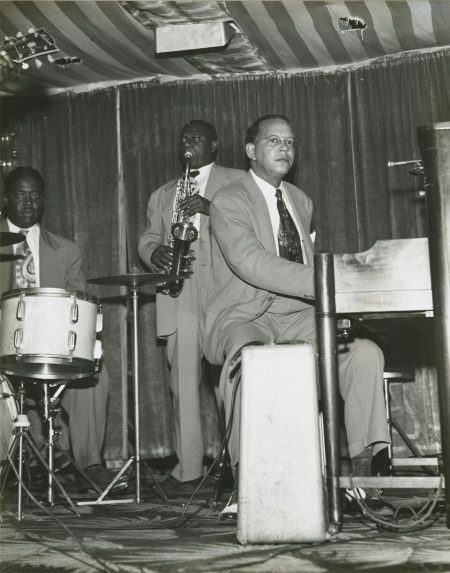 The Famous Door employed some black musicians, including the blues singer Cousin Joe and the Smilin’ Joe Blues Trio. 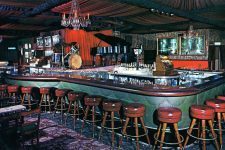 In the 1970s, June Gardner, a first-call drummer who’d played behind Sam Cooke and Lee Dorsey, led a traditional jazz band here. Another Dixieland bandleader, Murphy Campo, hired a youngster called Mac Rebennack to play upright bass at the Famous Door around 1961. 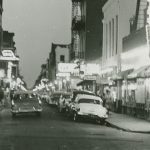 Rebennack, who played up and down Bourbon Street before he became known as Dr. John, had recently been shot point-blank in his left ring finger. The wound opened as he played, and at the end of every night he had to clean blood off of the bass he borrowed to make the gig. He didn’t care much for Campo’s sound, and eventually split to Poodle’s Patio down the street. 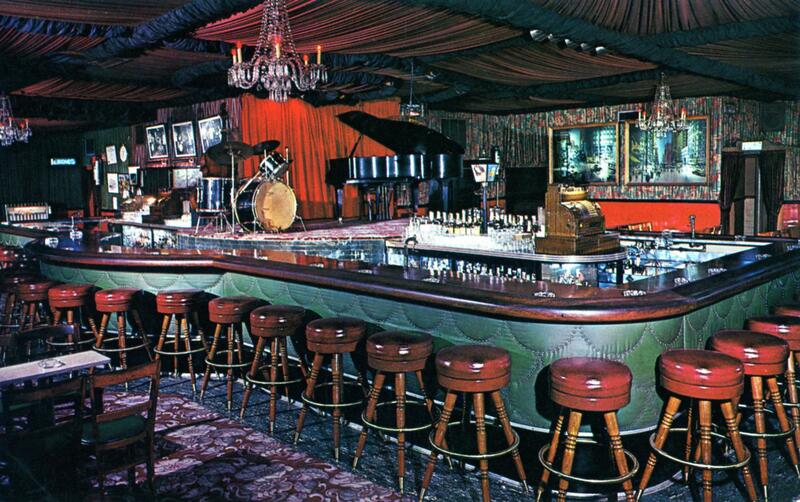 These days the Famous Door—under different ownership—presents cover bands. 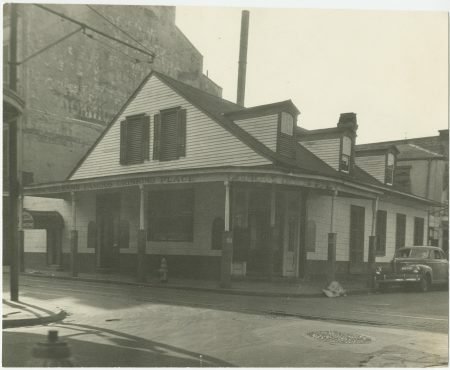 In 1958, WNTA-TV filmed "New Orleans Jazz Party" at the WDSU-TV studio in New Orleans. 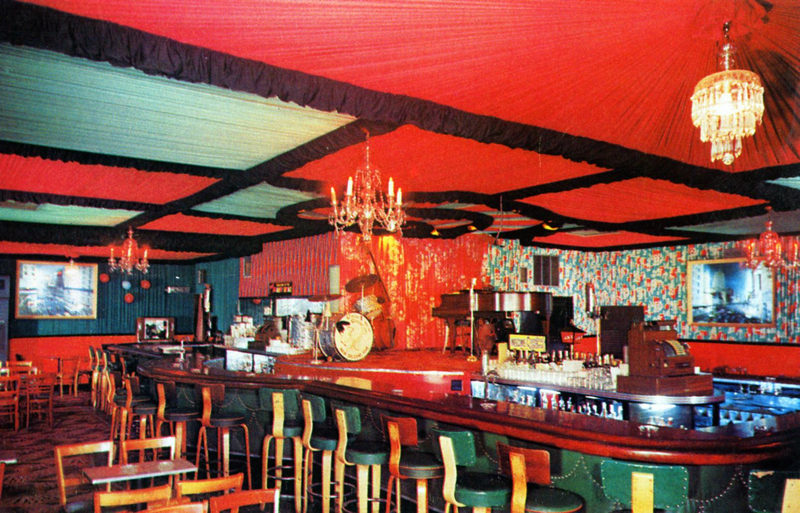 Sharkey Bonano takes center stage at 1:27. 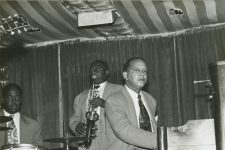 Video posted by Hoffmann Jazz. 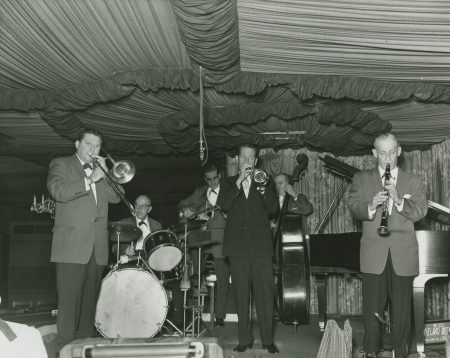 In 1958, Ed Sullivan recounted meeting the Assunto Brothers at the Famous Door and introduced the Dukes of Dixieland as "the number one jazz combo in the country." 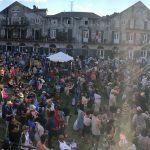 Video posted by Deano Assunto. 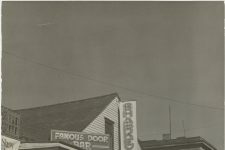 Exterior of Famous Door in 1945. 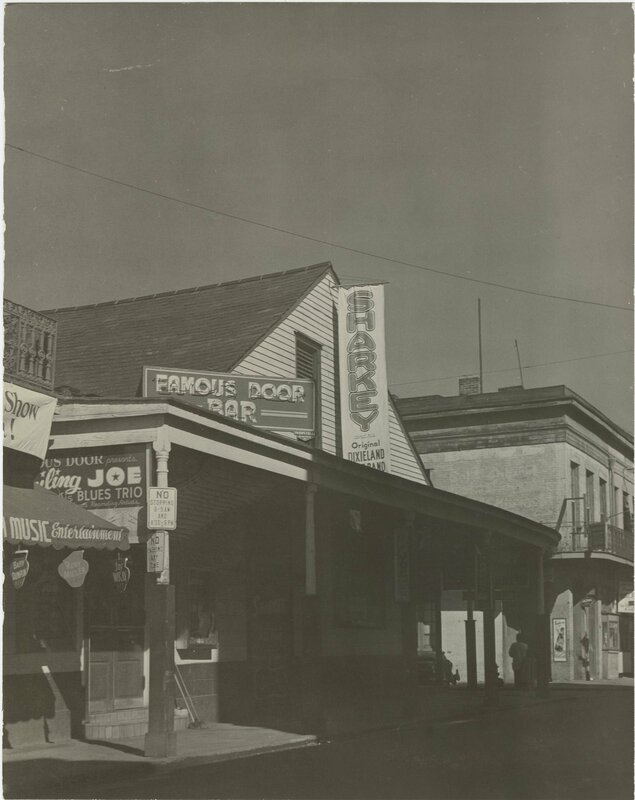 Exterior of Famous Door Bar in 1949. 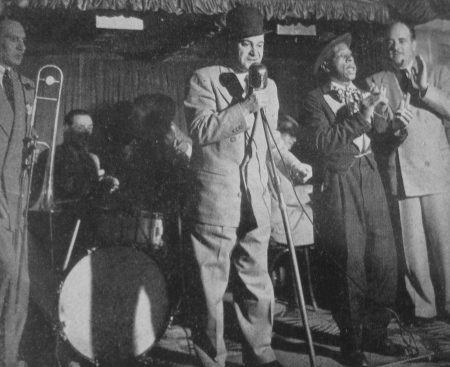 Sharkey Bonano and Pork Chop on stage in 1950. This photo was taken by a twenty-one-year-old Stanley Kubrick, who was on assignment on Bourbon Street for Look magazine. 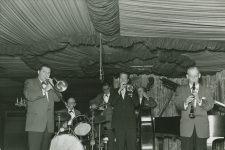 Mike Lala and His Band, with Mike Lala on trumpet, Joe Capraro on guitar, and Bill Bourgeois on clarinet, perform at the Famous Door. 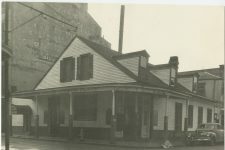 Thelma Hecht Coleman Memorial Collection, Tulane University. Photo by Howard Coleman. 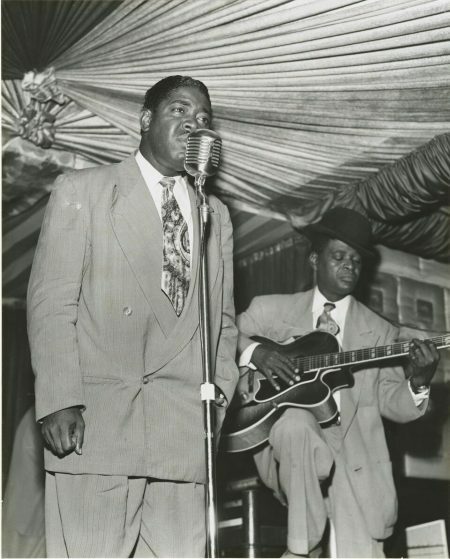 Alonzo Stewart singing in front of Smilin' Joe on guitar at the Famous Door nightclub, circa 1954. Members of the Smilin' Joe Blues Trio - Alonzo Stewart, Teddy Purnell, and Johnny Fernandez playing the piano - during a performance at the Famous Door nightclub, circa 1954. 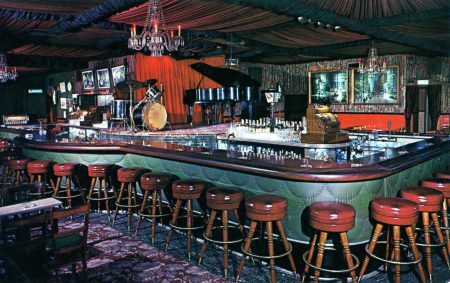 Postcard showing the interior of the Famous Door nightclub on Bourbon Street after a renovation. 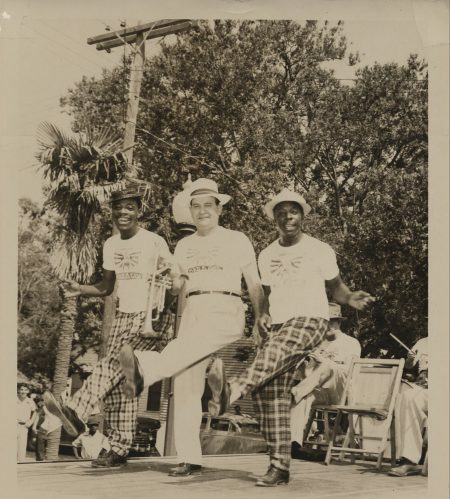 Oliver "Pork Chops" Anderson, Sharkey Bonano, and Isaac "Kidney Stew" Mason at Congo Square bandstand. 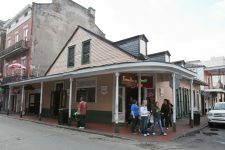 The Famous Door in 2010.